In addition to the stakes races on Saturday, Laurel will be giving away a poster and bobblehead in the likeness of Ben's Cat, whose ashes will be buried adjacent to the historic paddock. His Hall of Fame breeder, owner and trainer, King Leatherbury, and the five jockeys to ride him will also sign autographs following the third race. Copyright © 2019 Paulick Report. 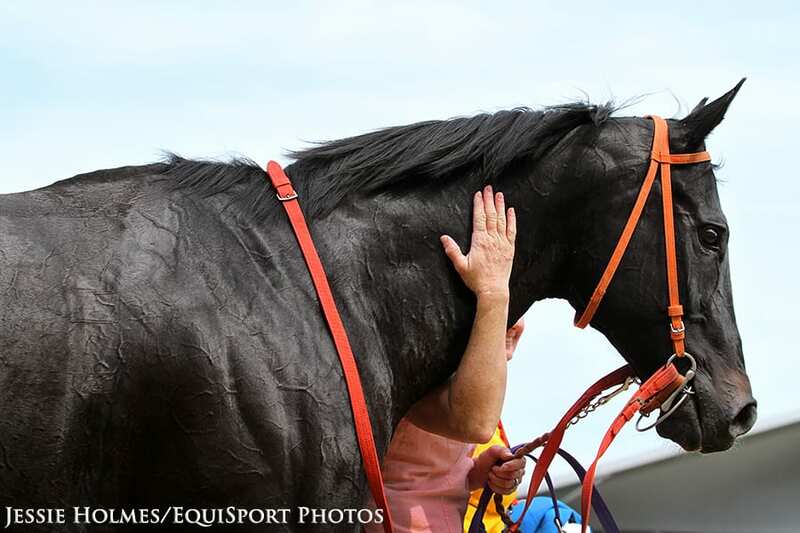 This entry was posted in Racing and tagged Ben's Cat, ben's cat day, Horse Racing, king leatherbury, Maryland Jockey Club, Maryland racing, thoroughbred by Paulick Report Staff. Bookmark the permalink. Do you support the proposal by a coalition of tracks to eliminate Lasix on race day for juvenile races and stakes? PaulickReport.com is published by Blenheim Publishing LLC, 3070 Lakecrest Circle, Suite 400-292, Lexington, KY 40513. Copyright Blenheim Publishing LLC.